Well, I feel darkness and I feel rain. I want to kiss you, but must refrain. I've already got someone to run to, I think you're pretty just the same. Released on Heavenly Recordings under the name James Levy and The Blood Red Rose, Pray To Be Free is a romantic yet playful collection of jaunty pop and bruised ballads, imbued with stunning vocals and wrapped in a variety of velvet strings, suave horns and lush arrangements. 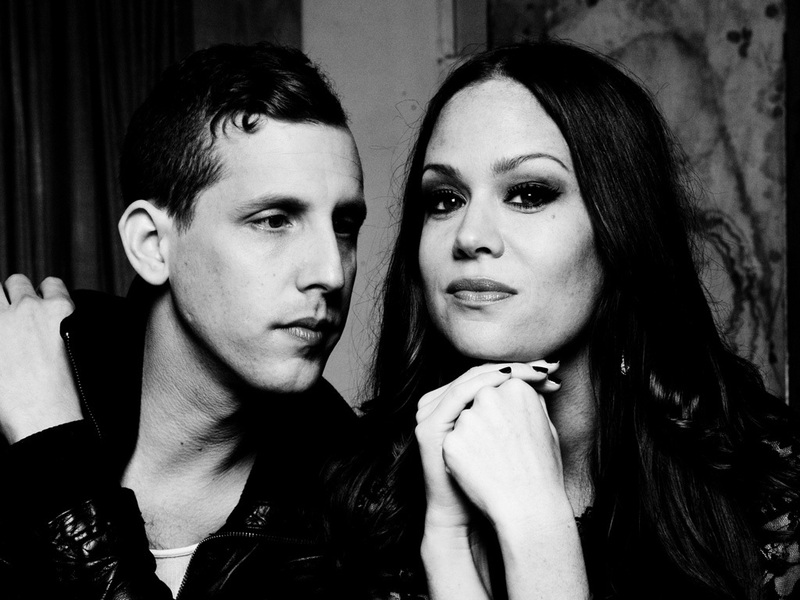 Allison played an instrumental part in the making of this album, not only by choosing to cover Levy’s song Glorious with her sister, but by introducing him to Coldplay’s bassist Guy Berryman. Berryman loved what he heard and — like The Pierces own breakthrough album (You & I) – he offered to produce Levy’s album. With the exception of Allison’s Cry Myself To Sleep, the songs on Pray To Be Free are picked from a collection of more than 50 Levy-penned tracks — some of which were originally recorded by the band named LEVY, which released two albums on One Little Indian in the mid 2000s and toured the UK alongside The Macabees. Other songs were chosen from a series of post-LEVY releases that more closely embodied the Leonard Cohen and Bob Dylan spirit that James took with him when he left his native Vermont in the early Naughties for New York City. One of the premiere songwriters and performers in town, he was readily embraced by the burgeoning anti-folk scene centred around the Sidewalk Cafe, which included contemporaries like Adam Green, Kimya Dawson and Regina Spektor. At the heart of Pray To Be Free sit some of James’ newest and most compelling compositions, including the soon-to-be-singles “Sneak Into My Room” and “Hung to Dry”. “The new songs came alive for me when I performed them with Allison,” James says. “These songs were meant to be sung as duets. There is a beautiful, knowing quality to Allison’s voice. She understands where the songs come from.” Other songs that hold a particular resonance to Levy include “Precious Age Of 13”, half-sung in Hebrew (the words come from the passage James memorised for his bar mitzvah) and the album’s finale. “I wanted to write a song like Gainsbourg but I couldn’t sing in French, so I sing in Hebrew instead!”. James’ roots helped support him during his more recent years when he worked for a Jewish cemetery. But now, with the imminent release of Pray To Be Free and The Pierces’ success with their version Of Glorious, he has finally given up the day job. His prayers have been answered.